Some companies have justifiably built a reputation for extraordinary customer service. Ritz-Carlton is one of them, but not everyone has had the opportunity to test that reputation in real life. As it happens, I recently put Ritz-Carlton to the test while I stayed at the Ritz-Carlton in Maui, Hawaii. It’s a lovely place, and my wife and I chose the Club Level for our stay. But as can happen even at a Ritz-Carlton, some things went wrong. Actually, a lot of things went wrong. The club level was unexpectedly bought out by an unnamed VIP, and when my wife and I checked in for what was supposed to be our first real vacation without our triplets since our honeymoon in 2006, the front desk staff let us know that we would not be receiving the five meals per day and adult beverages associated with a Ritz-Carlton club level stay. Well, I am a Ritz-Carlton vet, and I knew what this meant. I didn't need to switch into lawyer mode. On the contrary, I knew that I just needed to give them the room to make things right. And that is exactly what they did. We were upgraded (big time), we received free meals, free drinks, discounts on what was already paid for, and, most importantly, the personalized touch of the managers, who worked diligently to make things right. Vacation for me is a time of reflection, and I could not help but reflect on how Ritz-Carlton has systematized this level of service and indeed made it the focus of its culture. And this made me ask: As my own firm’s founder and CEO, how well would A2L Consulting live up to Ritz-Carlton standards? Here are several of the Ritz-Carlton's principles of service, a subset of their Gold Standards, that I think are especially relevant for litigators, trial teams and a litigation consulting firm like ours. Can everyone in my company say these things as well? I hope they can. I build strong relationships and create guests for life. As a litigator or litigation support professional, imagine if every one of your outside support firms exhibited only these six principles (translated for our industry of course) in every engagement. How good would that feel? I know I would love it if I could get this level of performance from vendors that we rely on - but all too often it's hard, right? Well, I'm definitively declaring that any customer of A2L can expect to receive litigation consulting services, whether jury/trial consulting, litigation graphics or courtroom technical support, that are consistent with these Ritz-Carlton values. I think we get it right most of the time, and when something goes awry, we work hard to make it right - as quickly as we can. And I ask, why wouldn't you expect that from a litigation consulting firm? 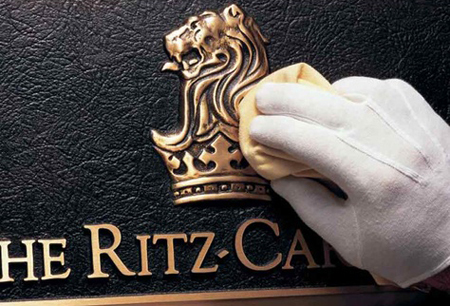 Remember, you probably know what Ritz-Carlton-level service looks like, right? Well so do I, and it's what I ask our social scientists, litigators, information designers and trial techs to provide. "I have a case I might need help with" - So what happens next? Who are the Best Litigation Graphics/Demonstrative Evidence Firms?